In Medias Res: Does Repugnance Matter, or Not? Does Repugnance Matter, or Not? 1) My friend Damon Linker writes a column (with an unfortunately provocative headline) that, while sketching out his own moderate moral discomfort with abortion, takes to task strong abortion opponents as actually not caring so much about the fetal life which abortion extinguishes as about pushing an anti-contraception sexual traditionalism--the evidence being the success which various birth control initiatives have apparently had in lowering the abortion rate, initiatives which social conservative pro-lifers have decided refused to support. 2) Ross Douthat writes an uncharacteristically angry column in response to Damon and others, disputing--I think somewhat persuasively--the evidence which is presented in support of the thesis that more contraception services (such as provided by Planned Parenthood) always correlates with fewer abortions, asking hypothetically why such initiatives and institutions, if they really are "pro-life," always seem to tightly associate the providing of contraception services with the whole bloody economy of abortion, and ending with a strong challenge to moderates like Damon: please just unapologetically defend abortion rights, and stop making like you're troubled by abortion when you aren't actually interesting in limiting its practice. 3) Damon hits back, wondering how it is that the usually milquetoast Douthat has turned into an absolutist on this issue, rehearsing all the well-understood biological details about fertilization, implantation, and development which cut (again, to my mind persuasively) against any kind of simplistic, non-philosophical claims about "life beginning at conception," and strongly defending a series of laws and norms which puts its trust in intuitions--"An abortion at six weeks is worse than one at four weeks. Eight weeks is worse than six. Twelve is worse than 10. And so forth, as we approach fetal viability"--rather than any kind of "rational systematization." 4) Fellow Potterholic and Rod-Dreher-fan Alan Jacobs gives Damon's protestations no credit whatsoever, pointing out that Damon is fundamentally unwilling to dispute the "package deal" (contraception services and abortion) which Planned Parenthood depends upon, and concluding that "if in the face of the horrors revealed by these recent videos of Planned Parenthood’s callous and mercenary attitude towards the organs of killed fetal humans your response is to attack Ross Douthat, then maybe, just maybe, you’re not as 'deeply troubled by abortion' as you’d like to think you are." While Linker’s view is often described as a “gradualist” one, and while morally that may be true, in legal terms it’s not gradualist at all: it’s totally binary, all or nothing. In this account, before viability the taking of a fetal life is legally nugatory; after viability it’s murder. This is a big jump in any circumstances, but especially worrisome given the success of prenatal medicine in pushing viability earlier and earlier. I appreciate, and even value, the general point that underlies Linker’s argument: that sometimes our laws have to be based on fallible and not especially consistent moral intuitions; that ad hoc reasoning is sometimes the best that we have; that the attempt to impose absolute consistency on our laws and jurisprudence is almost necessarily quixotic and prone to the generation of unintended consequences, because, as the adage rightly goes, hard cases make bad law. But I think our track record as a species--and more particularly as Americans--suggests that rough-and-ready moral intuitions do very little to protect the weak, the powerless, the despised. We need stronger and (yes) more consistent legal and moral stuff to protect those who cannot protect themselves. Now unless I am reading this wrong--and Alan, please correct me if I am not--it seems to me that he is pretty plainly endorsing Douthat's implicit claim that abortion must necessarily oblige one to take a "binary" approach: legally nugatory, or murder. It's a position which it seems to me many strong defenders of abortion rights already, in structure if not in substance, agree with. The upshot is that talking about the supposedly "pro-life" upsides of contraception or the value of Western European-style compromises (something like universally accessible and free abortion services through the second trimester, and very strict restrictions thereafter) all comes off as weak: it doesn't give you the "stronger and (yes) more consistent legal and moral stuff" which a topic as serious as abortion requires. Mere intuitions ain't enough. Well, maybe they're not--as anyone who as ever read my blog (or hell, this blog post!) can tell, I'm an intellectual who wants to get all the arguments in proper order so as to figure out what I think. But for Alan (and implicitly Douthat too) to apparently presume that we just can't trust moral intuitions about abortion to properly parse out the circumstances--that we need to develop moral arguments that are clearly all or nothing--strikes me as a rather surprising rejection of the long-standing conservative principle of "the wisdom of repugnance." I'm not sure how anyone could pretend that the whole reason the Planned Parenthood videos are generating so many accusations and so much discussion (and changing some minds) is exactly because, while none of the biological realities of abortion were unknown to anyone who took the time to think about it, those realities are now being displayed (however strategically) in a clinical, economic, utilitarian way which quite a few people--myself included--find kind of revolting. 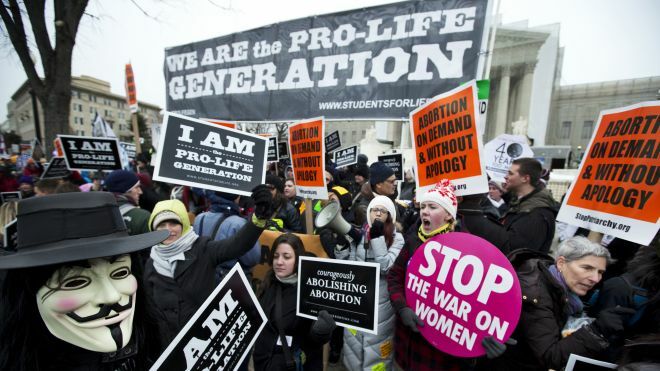 Is that disgust--which obviously will activated, as Damon suggested, less at conception than at four weeks, less at four weeks than at eight, less at eight than at twelve, etc.--really not something opponents of abortion should make use of? Are Alan and Ross, when it comes to what they plainly understand to be the enormity of abortion, really a variety of Nussbaumian liberal, who want our discourse on this matter to be clear and absolute, on one side or the other, without any ambiguous or ambivalent feelings of shame? I suppose that if you believe, to use the old pro-life stand-by, that the argument over abortion is a straight-up discussion about the teleological moral status of an unborn baby and nothing else--that this, in other words, can only be a replay of the argument over slavery--then I'd agree: it's all or nothing, folks. But until and unless medical technology enables us to vouchsafe complete independent personhood to the fetal embryo as soon as, say, its heart starts beating, then I'm going to continue to believe--to have the intuition!--that the woman in whom that baby is developing isn't the same as a slave-owner, and her preferences and needs have a balancing moral worth as well. I'm a believer in repugnance. Not all of it, not all the time--anyone who lives in a pluralistic society, as opposed to a completely sexually traditional Christian one, if they are honest, can't deny that it isn't just sin, but also differing perceptions and differing experiences, which can lead some people to find certain things gross and while others don't. Which means you can argue about such feelings--argue that they're wrong-headed, or that they are insufficiently complete. But I don't see why the fact that feelings of repugnance get attached to various actions or conditions non-systematically, giving rise to differences and arguments, is an argument against their legitimacy as a tool of social discourse. (Jason Brennan and Peter Jaworski have recently written a thoughtful--though I also think somewhat repetitive--article challenging the notion that anyone ought to ever give any ethical place to what they call "symbolic" or "semiotic" limits, which in their view are always mere social interpretations, and therefore ought to fall before real practical consequences. The first and most obvious problem with that claim, of course, is that economic and utilitarian "consequences" themselves are cultural and social constructions as well.) Damon's position regarding abortion is pretty much my own--in part exactly because it is neither a philosophical prioritization of bodily autonomy in all cases, nor a theological mandate about the moral inviolability of the natural processes of biological reproduction either. It's squishy. Let's hear it for squishy, at least sometimes, okay? I thought that was one of the better conservative principles, after all. 1) I would encourage you not to draw too many conclusions about my own position, since I took the pleasurable course of critiquing Damon's position without offering one of my own. 2) Repugnance matters, it counts for something, but I don't think it's possible to construct a general account of how much it matters — especially since what people find repugnant will be relative to their moral formation, which can vary a lot. Since we would all agree that some people feel inappropriate repugnance, while others fail to feel it when they should, repugnance as such isn't going to help us much. Repugnance is mainly interesting as a pointer to moral formation. 4) One thing I don't understand about Damon's position is how his feelings of repugnance are supposed to be related to other guiding concepts he invokes, especially viability and pain-capability. Are those supposed to guide our repugnance? If we should shy away from the aborting of a viable fetus but not from the aborting of a non-viable one, then our repugnance will be moving all the time because of improvements in medical technology. And yet nothing about the fetus itself changes as the technology changes. So this particular variety of squishiness gives us a situation in which our proper feelings about a particular loving creature are keyed not to any feature sof the creature itself but rather to the current state of a particular art. This seems all wrong to me. Alan, thanks for the responses. 1) You're right; the language of my post moved my claims through a door that you hadn't opened. My apologies. 2) and 3) I think I would probably argue that, while I mostly agree with what you write here (especially your point about equity), that repugnance--and I lump this along with all visceral or moral or non-rational intuitions or feelings in general--is probably more than just a "pointer" to moral formation. This is the Heidegger and Gadamer in me thinking aloud, but it seems to me that such instincts (culturally or historically or socially constructed impressions, reactions, and prejudices, you might say) do not merely indicate the site where moral reflection and formation needs to take place, but in fact initiate it, because such moral thought makes use of and moves through perceptions and presumptions that are received bodily, temporally, and thus, often, instinctively. I suppose a more careful phenomenology might argue that "repugnance" is a different and less implicated type of feeling, but unless I can be clear on how visceral feelings differ in our heads from other pre-judgments, I think it ought to be allowed its place how we think about things. 4) I find your sentences here--"nothing about the fetus itself changes as the technology changes. So this particular variety of squishiness gives us a situation in which our proper feelings about a particular loving creature are keyed not to any feature of the creature itself but rather to the current state of a particular art"--curious, and would like to understand them better. They seem, to me, to automatically grant (instinctively perhaps?) a certain kind of binary absolutism: the fetus, completely apart from any other actor, is "a particular loving creature," or it isn't, or it becomes one, which I suppose would mean that before the point of becoming it wasn't. I can see that argument, as I can understand the whole life-begins-at-conception anti-abortion argument. But when we are talking about birth, a process that mothers and other humans possess the technology to interfere with (and that technology has existed in one form or another for thousands of years), how can we not allow our moral judgments to recognize other actors, and to recognize the "current state of a particular art"? A century ago, there was no means to make certain that a baby born at six months wouldn't expire immediately; today, there are plenty of means to make all but certain that baby survives. In other words, a hundred years ago we were technologically incapable to vouchsafing the personhood (the "loving creature") of the fetus if it was born prematurely; now we are fully capable of it. With the change of that art comes a change in our moral perceptions and our moral responsibilities. If anything, it seems to me that Damon's sort of squishiness has expanded our moral sensitivities, not put limits upon them. But perhaps I am looking at your question all wrong. Am I? Well, first of all, damn me for trying to type on an iPhone. Among other things, I meant to type "living creature" (not "loving"). I postpone for another day the question of whether or when a fetus loves. You ask, "how can we not allow our moral judgments to recognize other actors, and to recognize the 'current state of a particular art'?" Here's how: You speak of what "we" can do, but of course the ability to keep a 20-week-old fetus alive is not universal. Right now it happens only in certain very wealthy and technologically advanced societies, and even in those only some people can take advantage of the state-of-the-art technology. 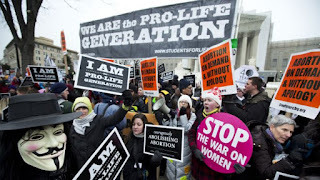 If our moral intuitions and judgments are shaped by the technological standards that obtain in a given place and moment, and we assume the view that Damon and others take that certain moral responsibilities towards a fetus kick in at viability, then we have a situation where we are morally responsible for a wealthy white American woman's fetus but not at all responsible for the fetus of a poor woman in rural Tanzania. How might we get out of that profoundly uncomfortable, indeed intolerable, situation? By saying that we should extend our sympathies and our sense of responsibility to all fetuses according to whatever the current state of the art is, whether or not they can practically benefit from that art? But then it's not space but time that afflicts our thinking, because what if next week some medical team keeps an 18-week fetus alive outside the womb? And then next year? And the year after? No, this doesn't work at all: it gives us a constantly sliding scale that we can never adapt to and that has us putting one fetus on this side of an invisible line, another on that side of the line, for reasons that won't hold up to scrutiny. So I say this can't be the way to think about it. Pro-abortion or anti-, we're using the wrong categories here. There has to be a way to think about these living creatures and our responsibilities to them, if any, that isn't so radically dependent on circumstance — on what some philosophers call "accidentals." I don't know exactly how we should think about these things, but the gradualist/circumstantial approach is, it seems to me, a non-starter. You speak of what "we" can do, but of course the ability to keep a 20-week-old fetus alive is not universal. A century ago, human beings had no means to make certain that a baby born at six months wouldn't expire immediately; today, there are plenty of means by which human beings can make it all but certain that baby survives. In other words, a hundred years ago human beings were technologically incapable to vouchsafing the personhood of the fetus if it was born prematurely; now human beings are fully capable of it. With the change of that art thus comes a change in human moral perceptions and human moral responsibilities. In other words, I don't see why the fact that a technologically-enabled awareness has changed moral intuitions about an unborn baby is compromised by the terrible reality that such a technologically-enabled awareness will not be able to be acted upon in every place and by every mother and father. The shift in moral intuitions, and the changes in moral reflections which such expanded intuitions bring about, do not seem to me to be dependent upon "technological standards that obtain in a given place and moment"; rather, we are talking about technology opening a door that, as the awareness (the images, the stories, etc.) of that opening spreads, contributes to a change in how people think. In the wake of that change, the prevalence or lack thereof of particular occurrences of the technology behind the door opening are, I think, beside the point. There has to be a way to think about these living creatures and our responsibilities to them, if any, that isn't so radically dependent on circumstance--on what some philosophers call "accidentals." Which, again, suggests to me that your own understanding of the moral problem here is grounded in a rather absolute binary (fetus = living person possessing rights and dignity vs. fetus = biological matter of negligible worth), the determination of which would philosophically trump all "accidentals"...which I suppose would include all the varied, culturally (and, yes, technologically) constructed circumstances through which our visceral instincts come into play. I apologize if I'm pushing you in a way which may not at all reflect your considered views, but this really does seem to me to be the implication of your resistance to Damon's defense of making use of our own moral sentiments. Saturday Night Live Music: "Life's Been Good"
Saturday Night Live Music: "Look Away"
Bernie Sanders: Front Porch Socialist? Saturday Night Live Music: "Feeling That Way"
Saturday Night Live Music: "Breezin'"